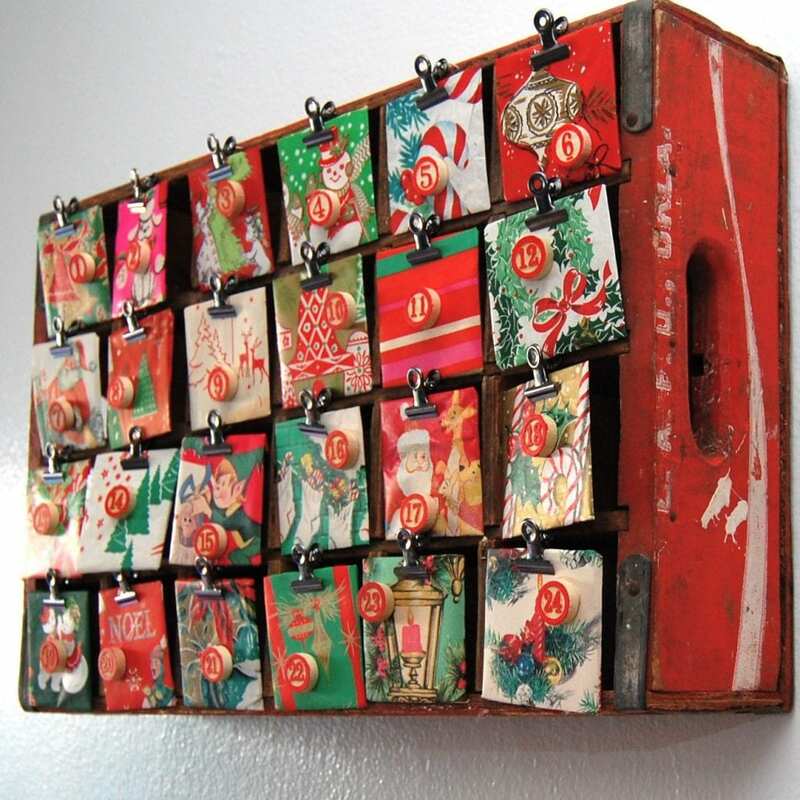 I tend to see the world through holiday colored glasses when I am antique shopping, thrifting, scouring Craig’s List – ok all the time. Somewhere in the back of mind I am looking at everything thinking: “How could that be holiday decor”. I get serious tunnel vision around Halloween and Christmas, but year round I am on the prowl. 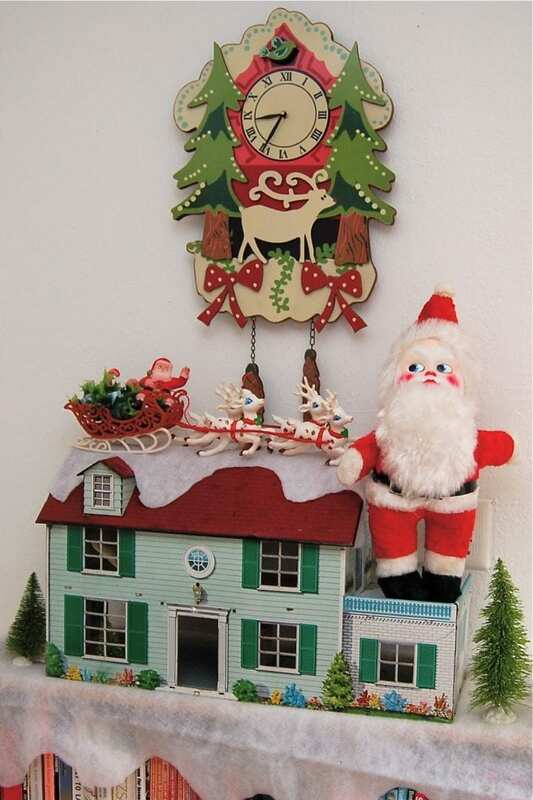 Have you heard the expression “Christmas in July”? Well it’s kinda Christmas in ______ (insert current month here) for me. 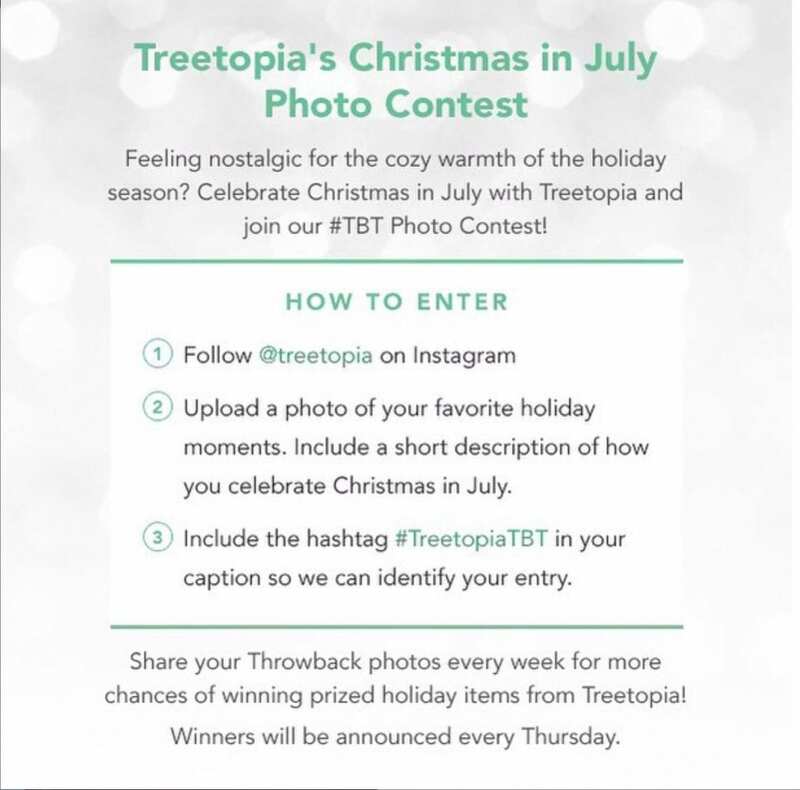 When Treetopia told me they were hosting a Christmas in July party on Instagram with a chance to win some free holiday goodies I suddenly got nostalgic for my holiday decor. 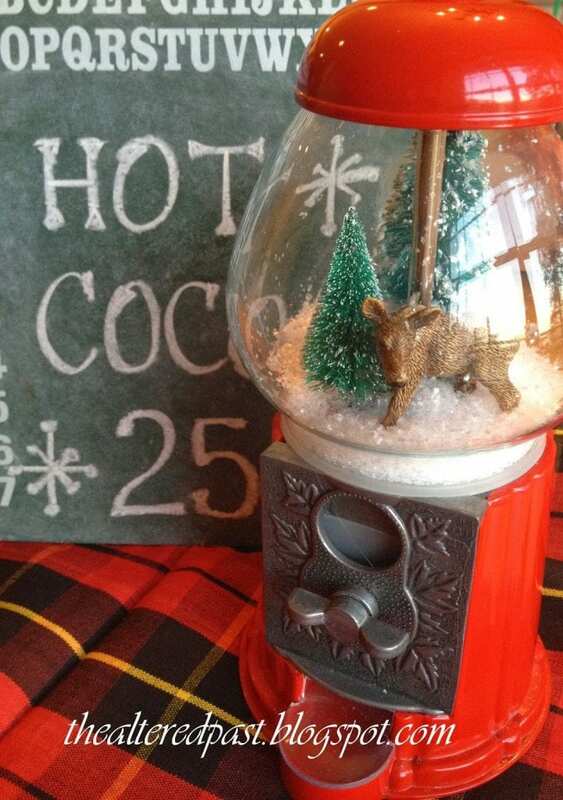 Sure Christmas is 6 months away, but here are a few suggestions for things you could find at this weekend’s estate sale and use come December. Plus be sure to follow Treetopia on Instagram and enter to win in their #treetopiatbt giveaway! I’m such a sucker for anything neon. 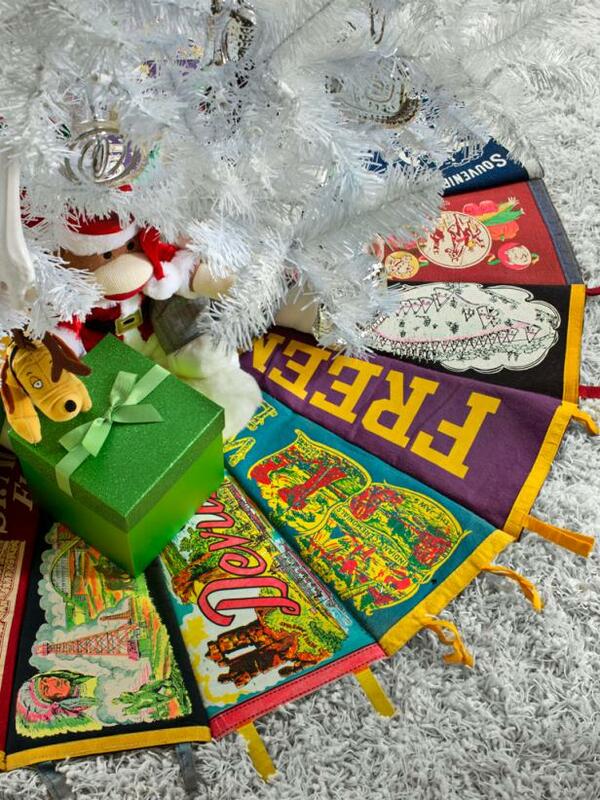 These vintage souvenir pennants always call my name when I see them at the flea market, but I never make the leap. I love the no-sew felt appliqué tree skirt I made last year, but for a girl that has over 100 Christmas trees, you can never have too many skirts. Thanks Brian Patrick Flynn for the adorable idea. I’m already knee deep into planning a Halloween tree version. 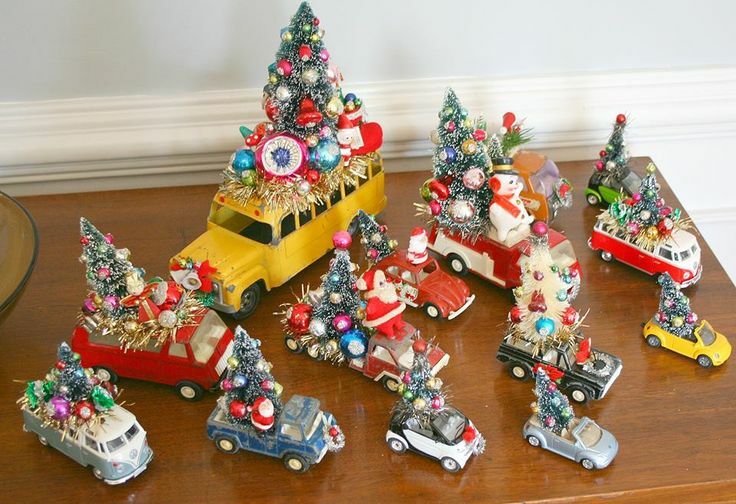 Vintage metal toy cars (new ones too) look extra adorable when styled to appear they are hauling a tree home from the farm. I have my husband’s childhood General Lee from The Dukes of Hazzard I decorate each year. Go the traditional route and tie a small bottlebrush tree to the roof of a car or get elaborate with decorations like the multi-talented Suzy from Georgia Peachez. 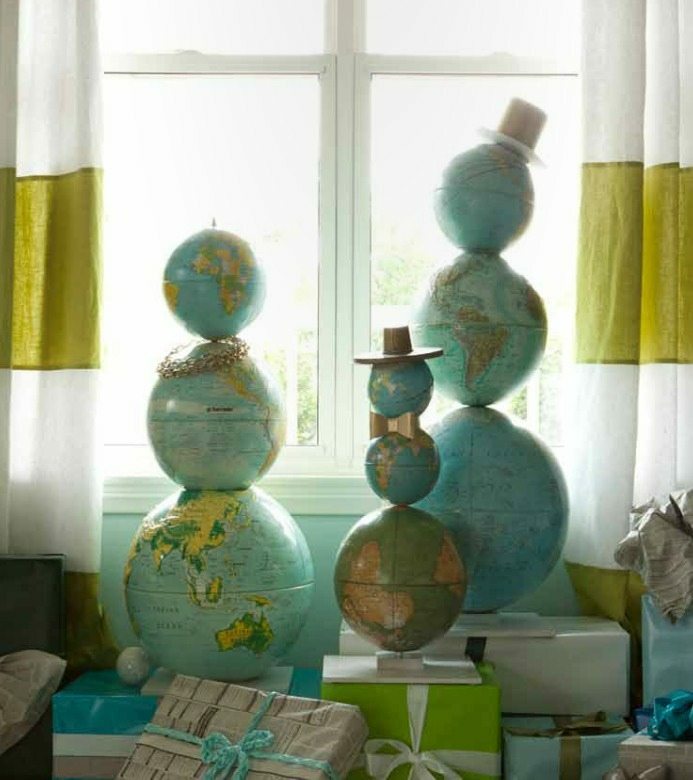 Again, already planning a pumpkin-rific Halloween version of these. Need an excuse to start a vintage toy collection? I use Christmas decor as my excuse. I have used these vintage Fisher Price toys in vignettes and trees for several holidays. Christmas is all about the toys and everyone loves being brought back to the nostalgia of 70’s Fisher Price. 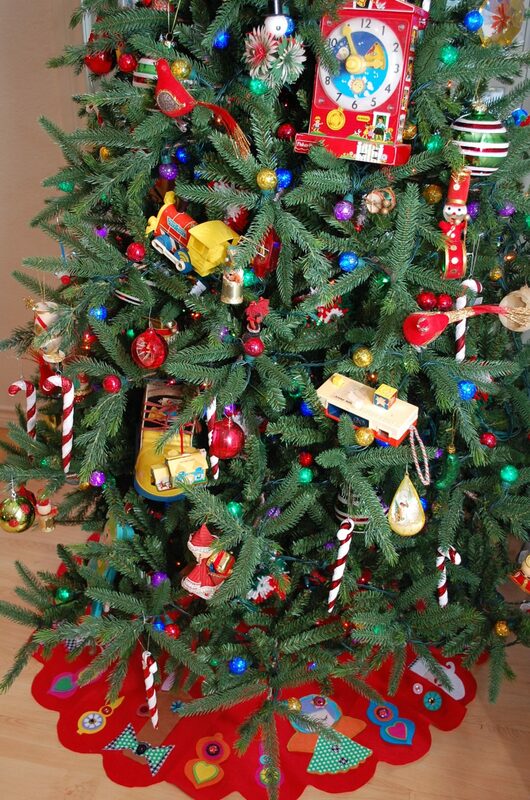 A good sturdy tree will easily hold a heavy toy collection. I just passed up a retro Fisher Price doll house at the thrift store last week. Now looking at this tree again I am kicking myself for doing that. So what types of things do you buy early? I’m always expanding my shopping list! Posted July 16, 2015 & filed under Christmas, Holidays.